Meet Lucy Watts, ICPCN’s very first youth ambassador. Lucy has life limiting complications from a genetic disorder called Ehlers-Danlos Syndrome, which has led to a number of other serious and life threatening health complications. Lucy is wheelchair bound and spends much of her time in bed. Her beloved and faithful companion is her dog, Molly. Lucy started receiving palliative care in 2011 from The J’s Hospice, a young adult hospice for 18 – 40 year olds in Essex. She credits Bev Barclay from the hospice for saving her life as she was slowly starving to death before Bev became involved in her care. The J’s Hospice continutes to provide care and support to Lucy and her family members, bridging the gap between her and the many consultants she needs to see. Being on an End of Life Care Register has not held Lucy back from doing what she is passionate about: making a difference. Despite her condition and her failing health, Lucy has a long list of achievements behind her name and is a passionate advocate for a number of charities. She is a trustee for the Pseudo Obstruction Research Trust and an ambassador for both Together for Short Lives and Dreams Come True, a charity which grants wishes to seriously and terminally ill children up to the age of 21. 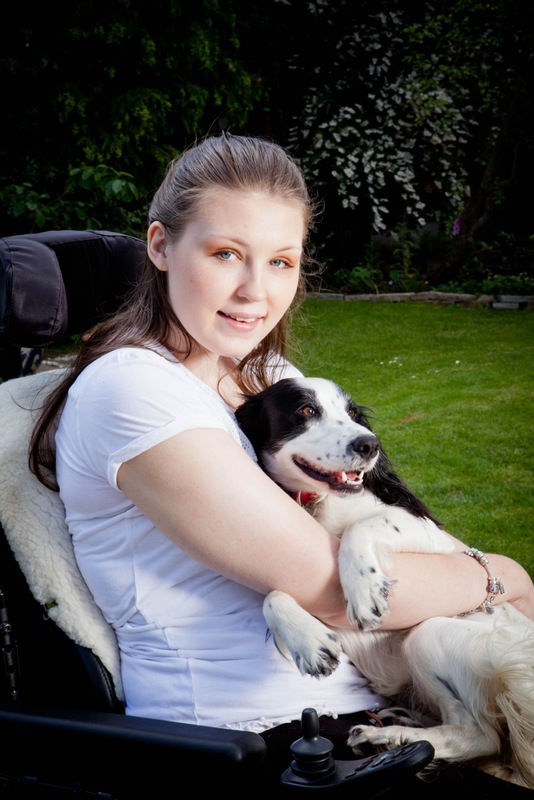 Lucy was the recipient of the Diana Award and the Jack Peachey Award, both in 2010, and along with her dog, Molly, won Friends for Life at Crufts in 2014. It is an honour and a privilege to have such a courageous and passionate young person as Lucy as ICPCN’s very first youth ambassador.